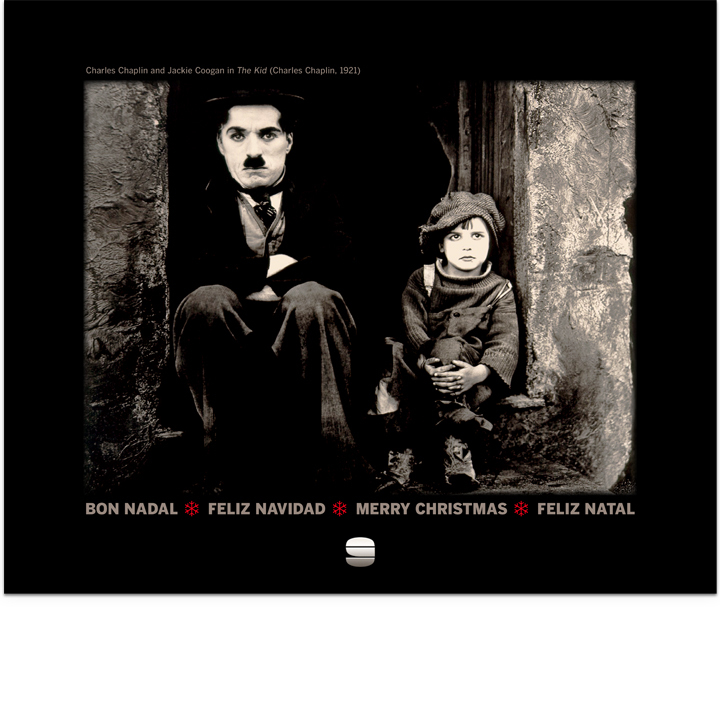 Products: Serie of Christmas greetings. Observations: Design for personal and non-commercial use only. 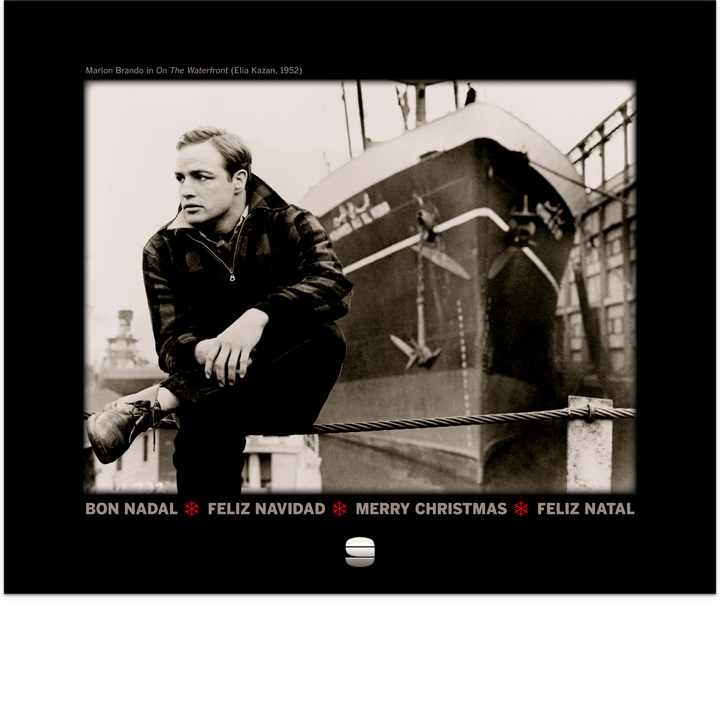 Credits: Christmas 2001: Marlon Brando in On The Waterfront (Elia Kazan, 1952). 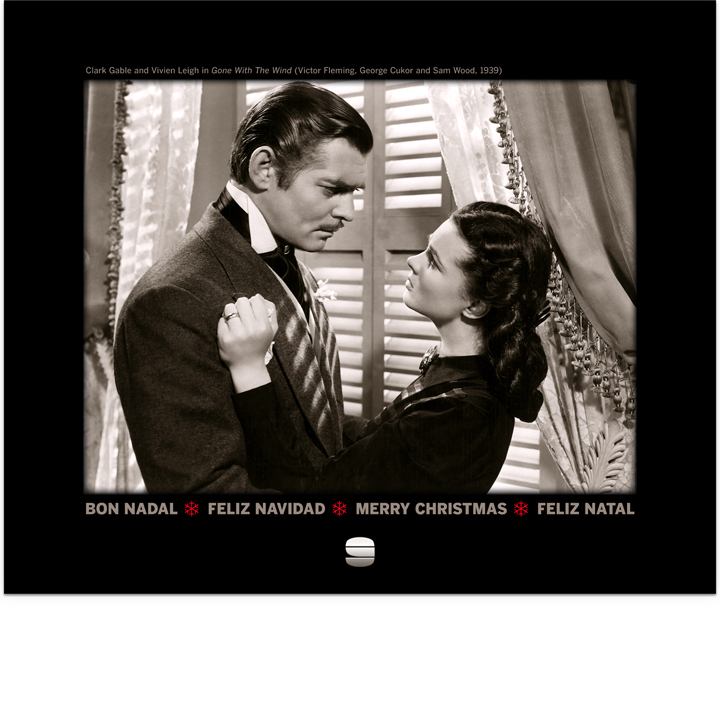 Christmas 2002: Clark Gable and Vivien Leigh in Gone With The Wind (Victor Fleming, George Cukor and Sam Wood, 1939). 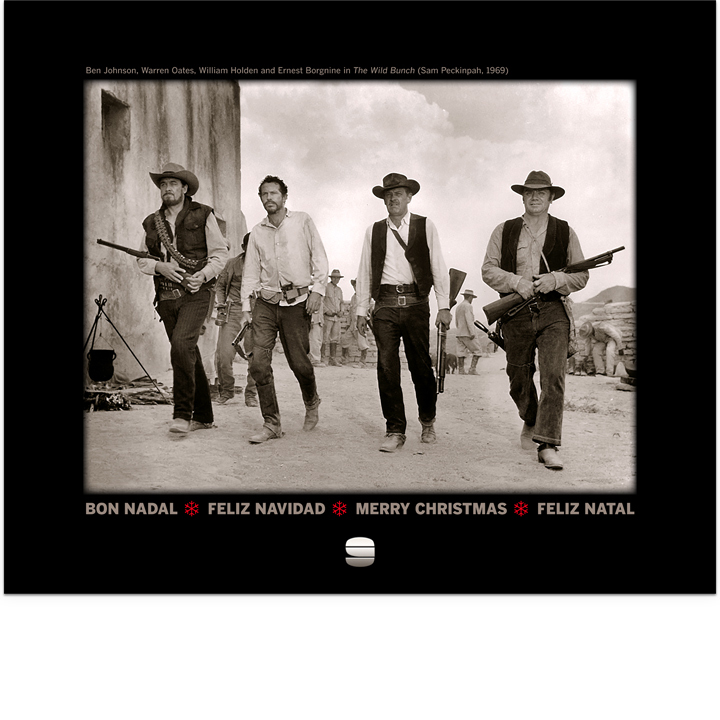 Christmas 2003: Ben Johnson, Warren Oates, William Holden and Ernest Borgnine in The Wild Bunch (Sam Peckinpah, 1969). 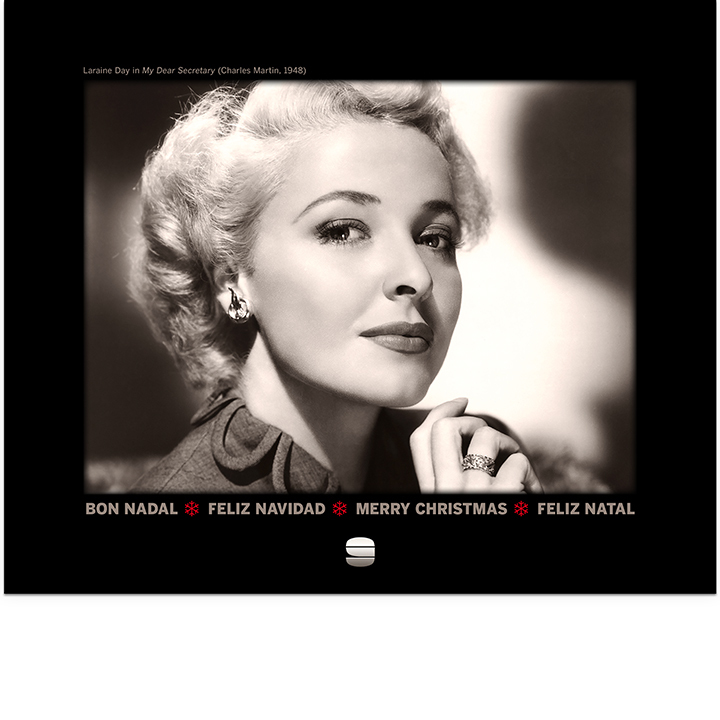 Christmas 2004: Laraine Day in a publicity photograph for Foreign Correspondent (Alfred Hitchcock, 1940). Christmas 2005: Robert Redford and Paul Newman in Butch Cassidy And The Sundance Kid (George Roy Hill, 1969). 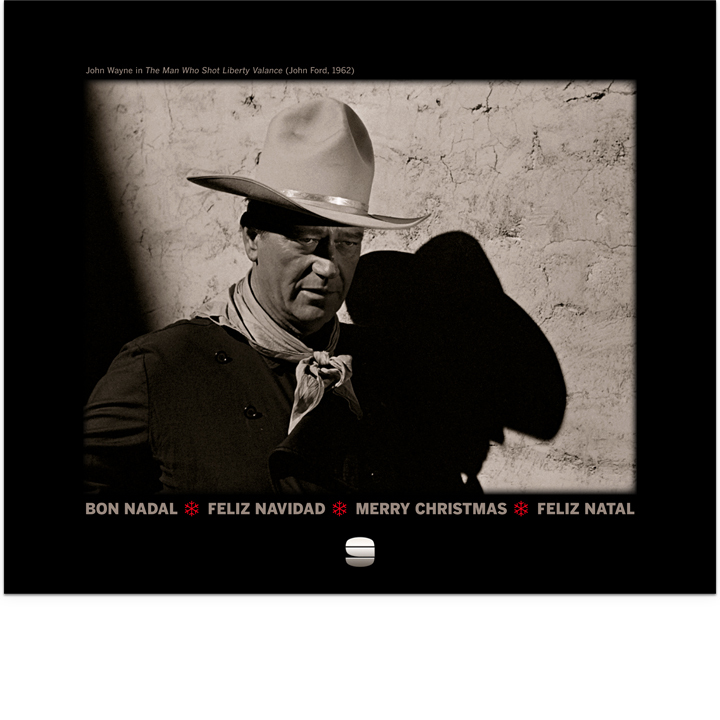 Christmas 2006: John Wayne in The Man Who Shot Liberty Valance (John Ford, 1962). 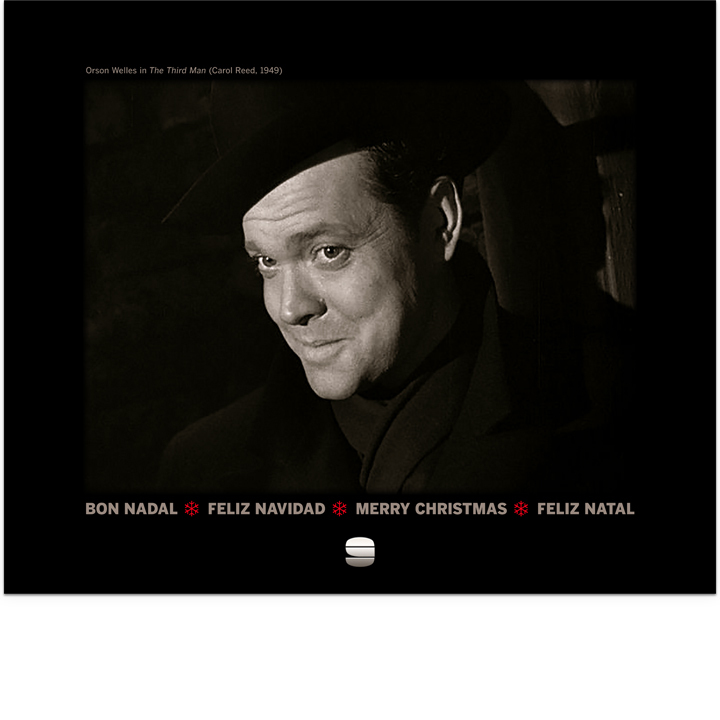 Christmas 2007: Orson Welles in The Third Man (Carol Reed, 1949). 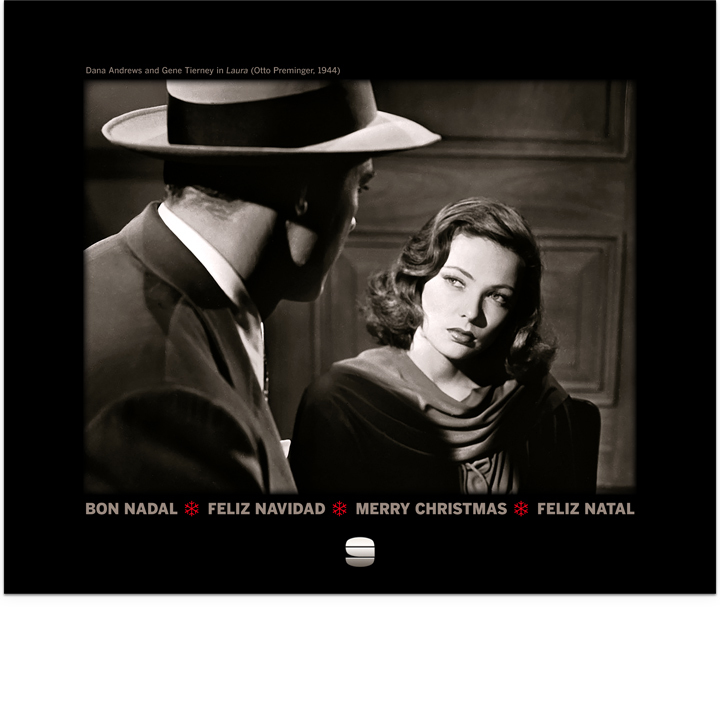 Christmas 2008: Dana Andrews and Gene Tierney in Laura (Otto Preminger, 1944). 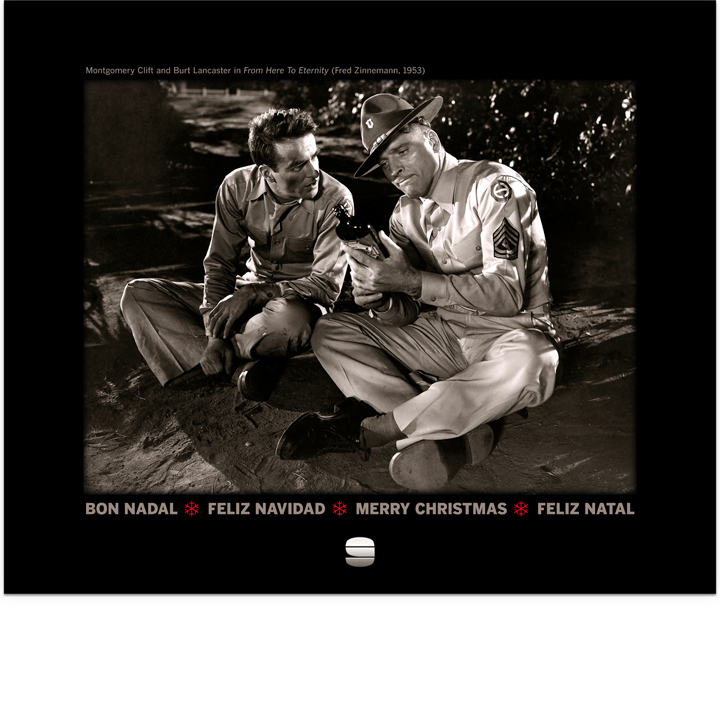 Christmas 2009: Montgomery Clift and Burt Lancaster in From Here To Eternity (Fred Zinnemann, 1953). 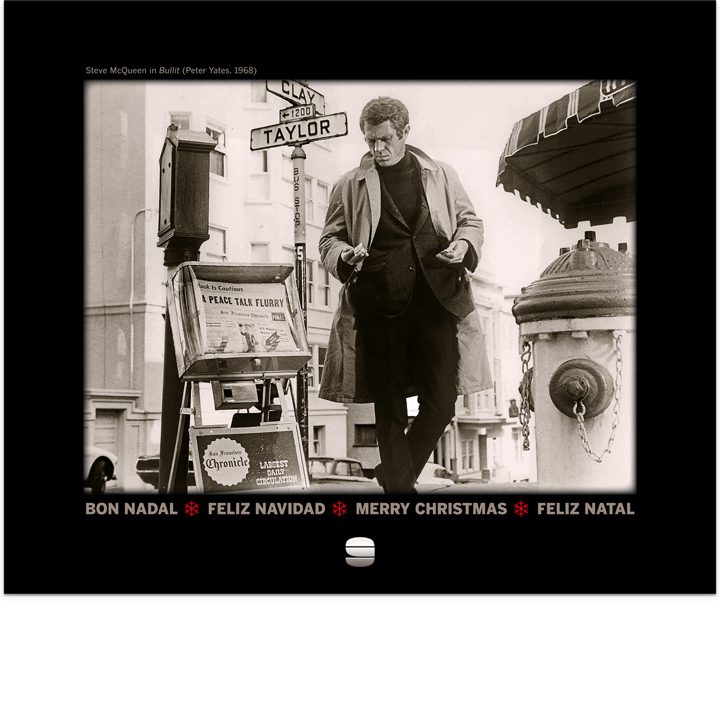 Christmas 2010: Steve McQueen in Bullit (Peter Yates, 1968).